North Korea has said it is “ready to hit back with nuclear attacks” if the US will take provocative action in the region. Soldiers, tanks and other military hardware were paraded in the capital Pyongyang in a show of strength on April 15. It comes amid speculation that the current leader, Kim Jong-un, could order another nuclear test. North Korea staged an extravagant display of military strength at April 15 parade amid concern that mounting tensions in the region could lead to a conflict with the US. 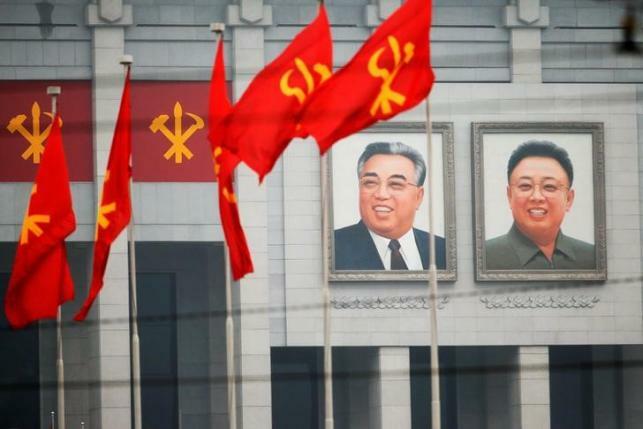 Rows of military bands and columns of troops marched into Pyongyang’s main Kim Il-sung square in the heart of the city. On display for the first time were what appeared to be submarine-launched ballistic missiles (SLBMs), which could be developed to house nuclear warheads capable of reaching targets around the world. With concerns that the state is getting closer to successfully producing a nuclear arsenal, the parade was an opportunity for Kim Jong-un to broadcast North Korea’s current military capabilities. The event made clear how vital North Korea’s nuclear program is to its future ambitions as it continues to ignore growing pressure from the US to abandon its nuclear weapons program. On April, China’s Foreign Minister Wang Yi warned that “conflict could break out at any moment”, adding that if war occurred there could be no winner. “We call on all parties to refrain from provoking and threatening each other, whether in words or actions, and not let the situation get to an irreversible and unmanageable stage,” Wang Yi said. Adding to Chinese unease, President Donald Trump said on April 13 that “the problem of North Korea” would be “taken care of”. President Trump has recently demonstrated his willingness to resort to military methods. He ordered a cruise missile attack on Syria in retaliation for a suspected chemical weapons attack, and the US military just used a huge bomb against ISIS in Afghanistan. How Will The Trump Administration Affect Small Businesses in 2017?